DigitalOptics reveal they helped with the Galaxy S4's eye-tracking as a rugged version of the phone is tipped! If you currently own or are planning on picking up the Samsung Galaxy S4 then it's quite likely that your decision would have been informed, at least in part, by some of the pretty sweet things which you can do with gestures and your eyes. Things like Smart Stay, Smart Pause and Smart Scroll are what we have in mind here. The thing is that we don't actually know very much about these. We know that they're pretty cool features, but until recently we didn't know who was behind them, we naturally assumed it was Samsung. We don't know how deep their involvement is, but a multi-year licensing deal suggests that there's plenty more to come from that pupil tracking tech! One phone which we might see more of this technology employed in is more of rumour at the moment than anything else. 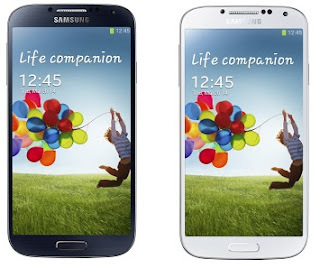 According to reports there is the possibility that Samsung are working at creating a version of the Galaxy S4 which is both dust and waterproof in 'the months ahead'. Now that is an insanely broad statement and it could refer to a Galaxy S4 Mini or it could be a total misquote. But, that doesn't change the fact that Samsung's Head of Gulf Electronics, Young Soo Kim, said it the the launch party for the Galaxy S4 in Dubai! What do you guys think? Would you like to see a waterproof Galaxy S4 and would you like to see the gestures and eye tracking features extended? Let us know in the comments below!